SoftPlanet makes it possible for everyone to get free RawTherapee download directly from our servers. There is no registration needed for downloading. 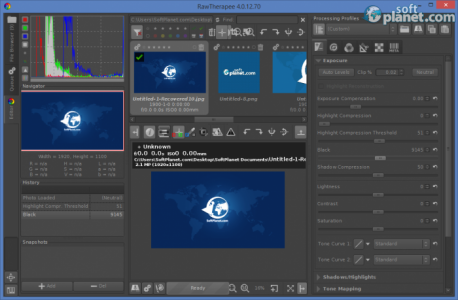 RawTherapee 4.0.12.70 is a software utility, which provides you with some great image adjustment features. 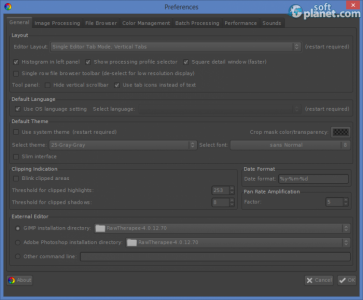 The application supports a wide range of formats like JPEG, BMP, TIFF, PNG, etc. Besides that it is designed as a free and open-sourced image editing toolkit, which is a big advantage nowadays. 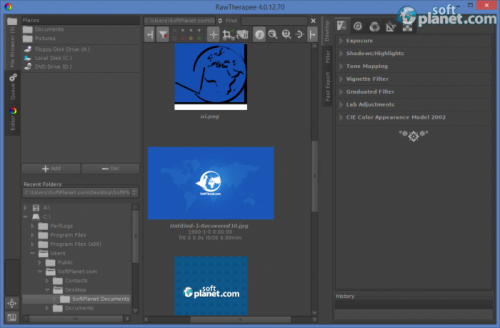 RawTherapee is probably one of the best free color management utilities on the market. It really unleashes the full potential of each single image you have captured with your digital camera. The program supports batch conversion as well. 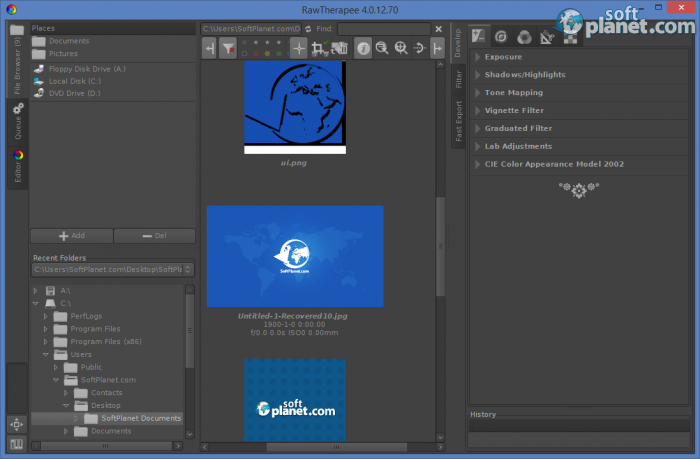 Unlike most of its rivals, RawTherapee 4 enables you to edit multiple images in different tabs. 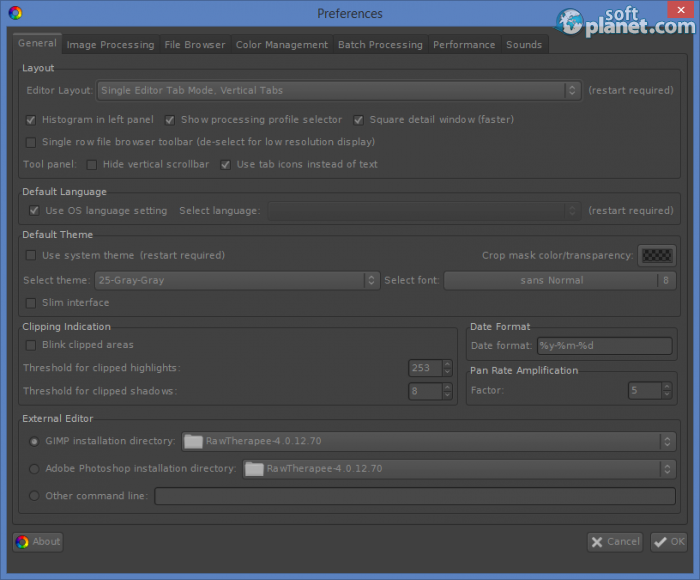 Once you have launched the application, you will notice the common sign for all image editing utilities – the gray color scheme. At first sight the GUI looks very well-organized. However when you need to resize the main window, things begin to go wrong. Menus go over other menus, which makes working with this app a very though task. 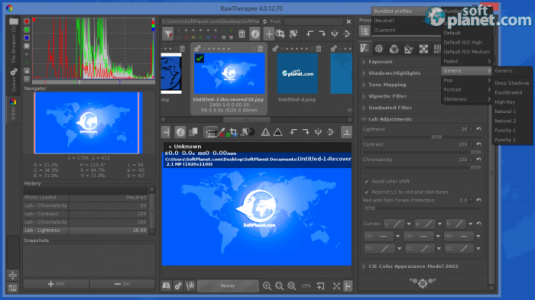 The interface is divided into three tabs – Editor, Queue and File Browser. Each one of them comes with multiple control snippets such as Navigator, Processing Profiles, etc. When it comes to image processing performance, RawTherapee does a really great job. However it seems to be a bit unstable. During the team test, it crashed a few times. This software has great potential, so we really hope that the next release will come better, stronger and more stable. However if you use the Fullscreen mode, everything regarding the GUI is fine. RawTherapee 4 is a perspective application, intended to edit digital photos in a professional manner. However this particular release of the software comes with some edges to be polished. Despite that it really provides you with powerful features. Please feel free to share your observations within the Comments field. Our security scan shows that RawTherapee is clean from viruses. The current version of RawTherapee has been scanned by our system, which contains 46 different anti-virus algorithms. 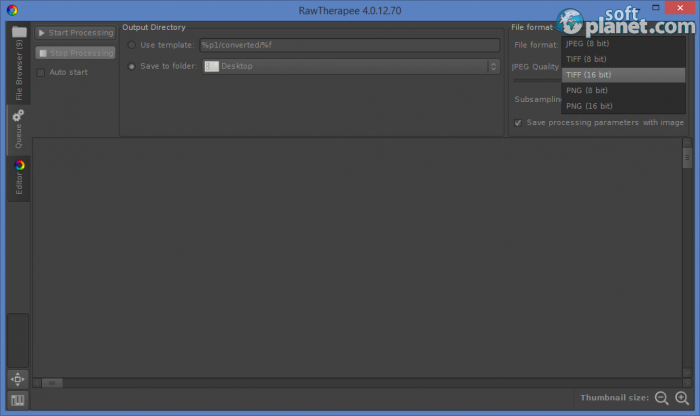 That ensures that RawTherapee 4.0.12.70 is 100% safe for your computer.